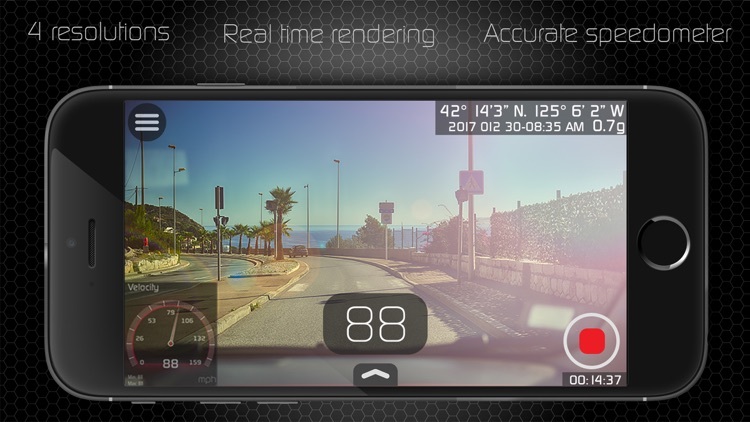 Record your driving/cycling session with crucial data overlays. 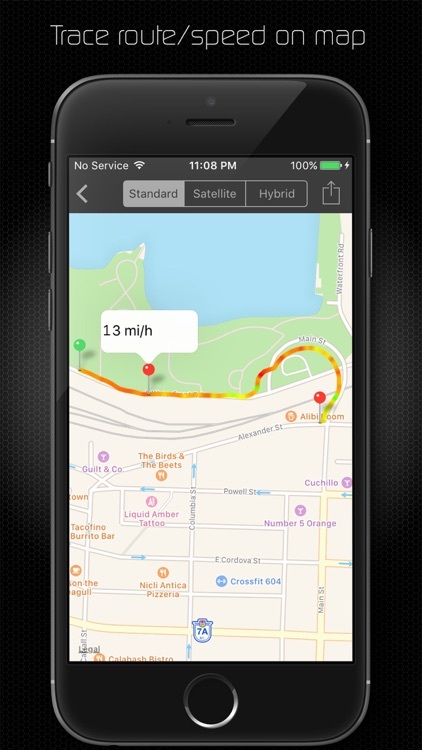 Get accurate speed reading from GPS with adjustable update frequency. - Realtime data overlay rendering (No post processing). - HD recording in 720p and 1080p (4 recording resolutions available). 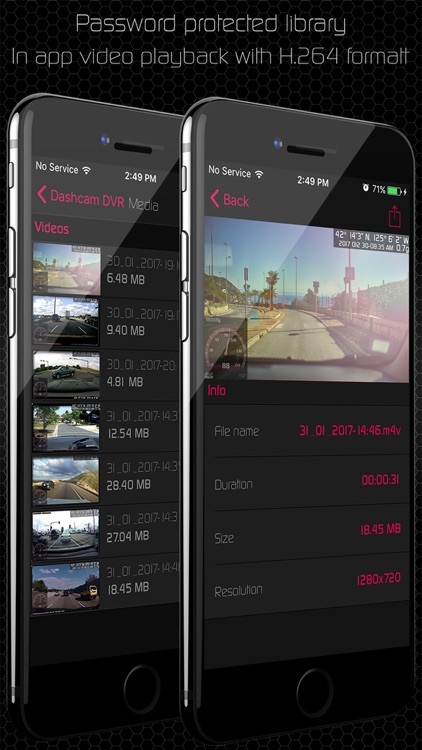 - H.264 video compression for best quality/file size ratio. - Map overlay with 3 different map types. 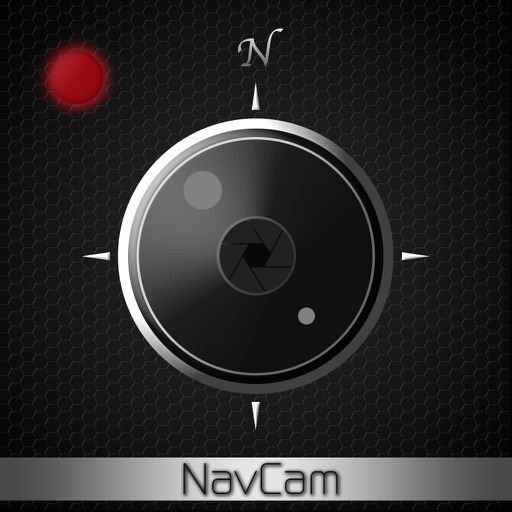 - Load/save route onto map tracing with speed gradient. - Time and date overlay. - Uses your device GPU for processing providing higher fps. - Video playback with sharing options. 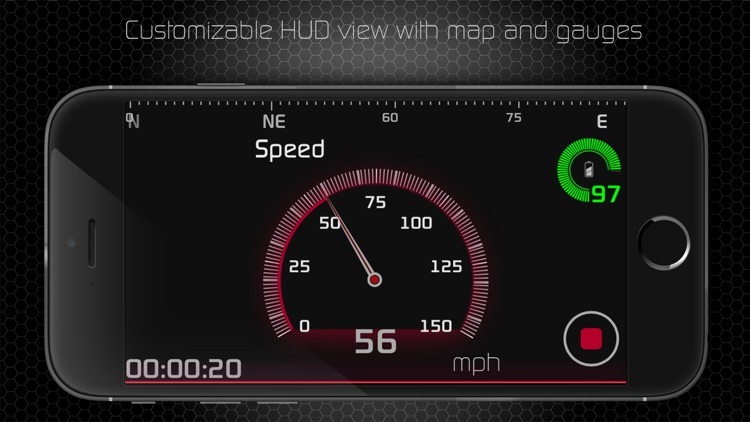 - Sliding HUD view with speedometer, battery gauge compass and G-force gauge.